Shadow Puppet is an amazing app that is perfect for students of all ages. Children can take still images and bring them to life with narration using this story telling tool. 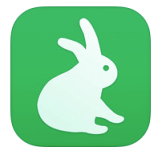 Shadow Puppet lets users zoom into pictures as they narrate a slideshow. There are lots of ways to use this app in the classroom and Shadow Puppet features some great ideas on their Pinterest page and blog. Students can describe what they learned during a field trip using pictures they’ve taken with their mobile device, or document the steps they took during a science experiment with a combination of images and narration. This app is a must have for teachers looking for a creative way to have their students tell a story or recount events from an important school event. Try including your Shadow Puppet creations in your students’ digital portfolio!